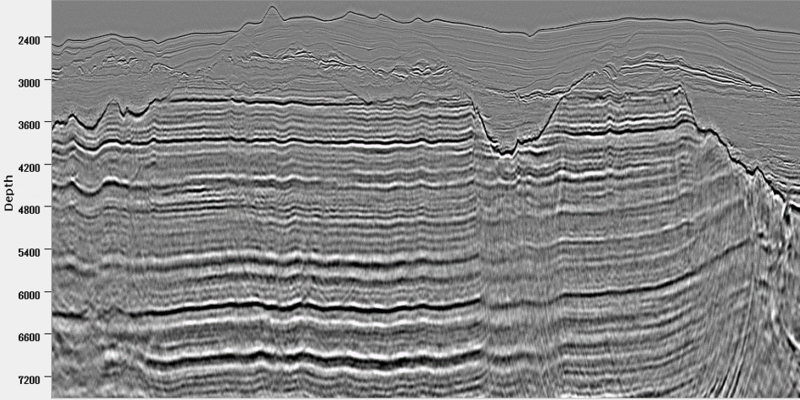 IDM is a velocity model building technique in which geological information and interpretation are used as constraints to a horizon-based tomographic update. 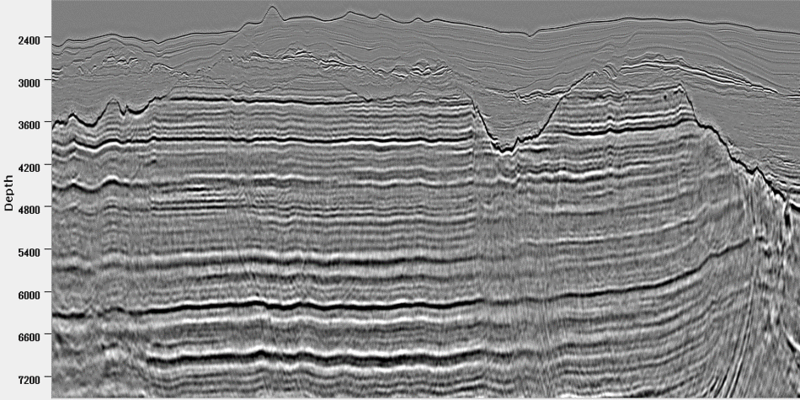 The integration of geological interpretation and seismic tomography enables a detailed velocity model to be derived, particularly in regions of rapid lateral velocity changes, such as fault shadow zones and areas of karst tomography. TGS' interpretation-driven modeling is used to update the input model for PSDM for both shallow and deep tomography to derive a high-resolution model. A target horizon is picked on a near-offset PSDM stack and the desired horizon is also interpreted. The velocity is then updated using horizon-based tomography. These steps can be repeated through as many zones as needed to obtain the most accurate model for PSDM. This method is applicable to many different imaging challenges including fault shadow, gas cloud, and karst zones.